The access to Chania is achieved with boats from the harbor of Piraeus-Athens, as well as there are daily itineraries of boats with destination the harbor of Chania (Souda) and emergency itineraries or increased frequency of the already existing ones during the feasts and the summertime that the island of Crete in general and the city of Chania in particular are full of tourists. 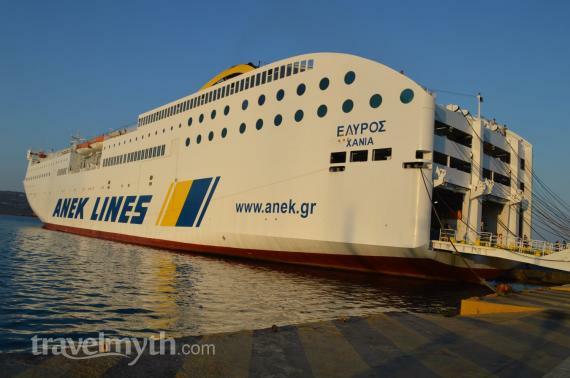 Chania is connected to the port of Piraeus with some late evening departures to the ports of Chania (Souda), Rethymno, Heraklion and Agios Nikolaos every day, all year long. From the port of Thessaloniki and the surrounding islands of the Cyclades, Ios, Santorini, Paros, Naxos, Mykonos, Amorgos, but also from Milos, Kythera, Karpathos, Rhodes, Kos routes are available mainly to the other port of Crete Heraklion, but also to the ports of Sitia, Rethymno and Agios Nikolaos, helping you find your way from other Greek islands as well so that your life will become much easier and your holidays much more relaxed. This is something extremely important as you might as well divide your holidays and once in Greece get to see two or more Greek islands. Find another island like Milos, Santorini or any other to visit in order to make your holidays even more exciting by combining at least two destinations and make the most out of your holidays in Greece. Also you might arrange to go on tours in Chania and get to see as much as you can of this amazing town. Take a cruise to the whole of Crete and discover the country’s most amazing beaches that are not always the most popular ones. For a plain trip to Chania by ship you need to always keep in mind that you may go for the conventional ferry boat or the high speed which is something that will save you time that you will have available for spending in the island in other more exciting ways and you will make the most out of your holidays. No matter which way you will choose to go, the most important thing is that once you go to Crete you never go back, as it will always be on your mind!